In this mode the NOISE app and your Block are mirrored, so both the app screen and your Block surface will play the same instrument. You can only play one track at a time, and this mode works only with one Block connected. When Mirror Mode is deactivated, you can assign your Blocks to different tracks in NOISE, completely independent of which instrument track is selected in NOISE app. Once your Lightpad or Seaboard Block is connected, you can connect additional Blocks automatically by attaching them physically via the magnetic DNA connectors. However, you can also connect each Block individually through the Bluetooth connection page, which is useful if you want to connect multiple Blocks without having them side-by-side. Follow our step-by-step video guides to get your Blocks ready to play. 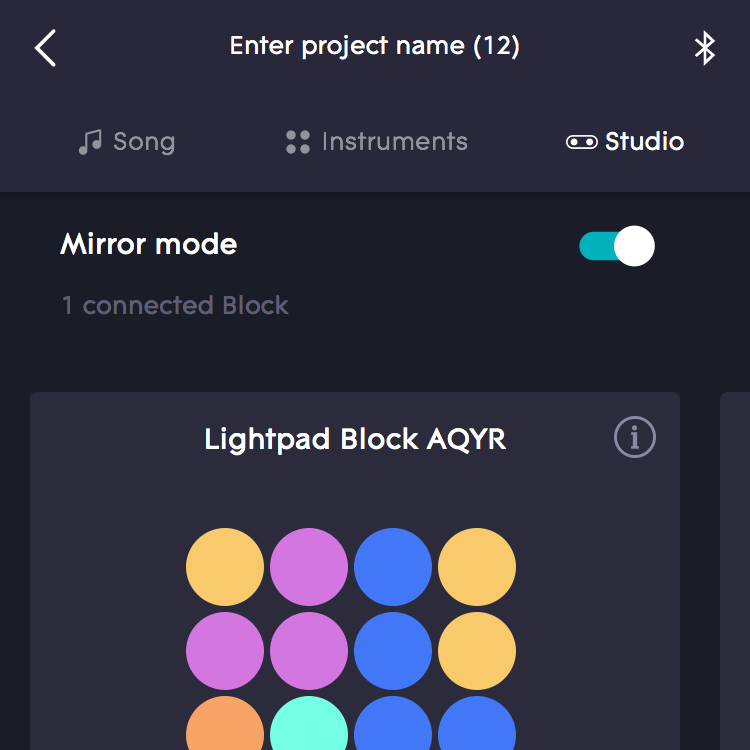 Learn how to connect your Lightpad Block, create loops, record and share mixes. You will begin to understand the key features of the Seaboard RISE and Equator.